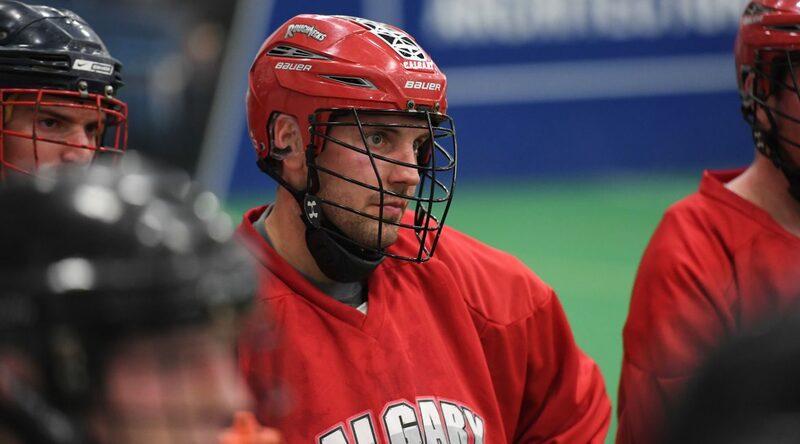 The Roughnecks hit the floor this weekend in Calgary for training camp, just two weeks out from the team’s home-opener against the Vancouver Warriors at the Scotiabank Saddledome. After a successful draft, and a few big off-season transactions, the Roughnecks’ brass are expecting tough battles for roster spots. Given the condensed schedule for camp, it will be a busy one. How different will this year’s edition of the Roughnecks look? As part of Training Camp, the Roughnecks will play a pre-season game next weekend, when they head to Saskatchewan to take on their rivals, the Rush, on Dec. 8. “Normally, you’d have a couple of scrimmages over training camp, and because of the shortened training camp things kind of got tossed up a bit,” said Board. “It’s important, and I think all teams around the league are looking to get game action in before that season start. For a full training camp schedule click here.